New Zealand gunners from 161 Field Battery fired New Zealand’s first shots of the Vietnam War from their Bien Hoa base near Saigon. Between 1963 and 1975 more than 3000 New Zealand military personnel and civilian volunteers served in Vietnam. Thirty-seven died on active service and 187 were wounded. Two civilians also died. This was the first war in which New Zealand did not fight alongside its traditional ally Britain, reflecting increasing defence ties with the United States and Australia. The New Zealand government was cautious in its approach to Vietnam, sending a New Zealand Civilian Surgical Team in April 1963, then a team of army engineers in June 1964. The latter built roads and bridges. 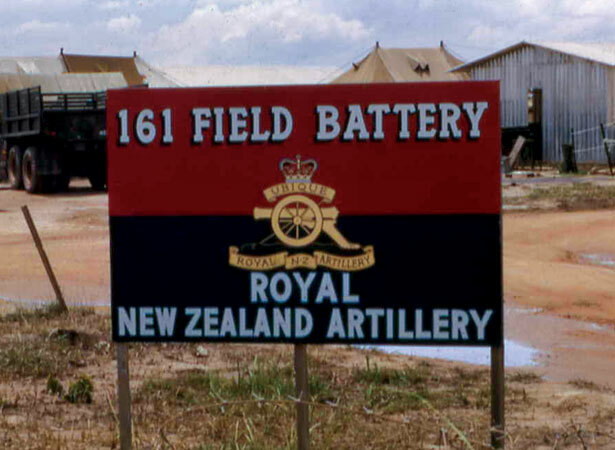 The crucial decision to send combat forces was made in May 1965 and the Royal New Zealand Artillery’s 161 Field Battery replaced the engineers in July. They served with the United States 173rd Airborne Brigade before joining an Australian task force. As New Zealand’s commitment increased, two rifle companies of the 1st Battalion, Royal New Zealand Infantry Regiment, arrived in 1967. We have 1 biography, 2 articles, related to New Zealand artillery opens fire in Vietnam.